What Are Some of the Different Types of Renewable Energy? Home/Green Energy, Solar Panels/What Are the Different Types of Renewable Energy? Renewable energy is one of the most controversial topics in the media today. Many people believe that this type of energy is going to be used more and more. Technological advancements have made solar, wind and even water power more reliable sources of energy. With using these as alternative forms of fuel, we can pave the way to a healthier and long-term sustainable environment. So let us talk about the different types of renewable energy and what their advantages are as sources of fuel. The three most talked about types of clean energy are solar, wind and water power. Solar power refers to energy that is collected from the sun. The energy from the sun is absorbed and converted into usable power. This source of renewable fuel is quickly becoming the most common because of the easy access that people have to the sun. Solar panels can be put on the roof of someone’s home making this type of energy one of the most readily available. Energy technologies have also made wind power more practical sources of natural and renewable energy. A windmill can be used to power and collect more energy and is becoming more cost-effective and friendly to use. Water power is still used today, however, it is not as readily available as most other versions of renewable energy. When it comes to the different types of renewable energy, water power is collected from either flowing water like that in a river or tidal waves. The downside to this source of power is that you need to be close to some form of water to be able to use it regularly. So what are some of the advantages of using renewable energy sources? 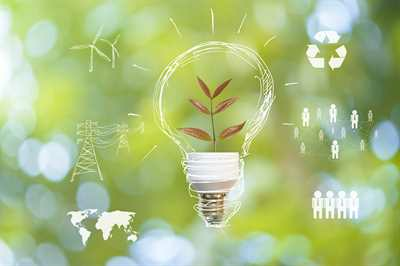 Depending on the type of power and resource that you are using, technology has made many types of renewable sources of energy just as cost effective as fossil fuels have been in the past. 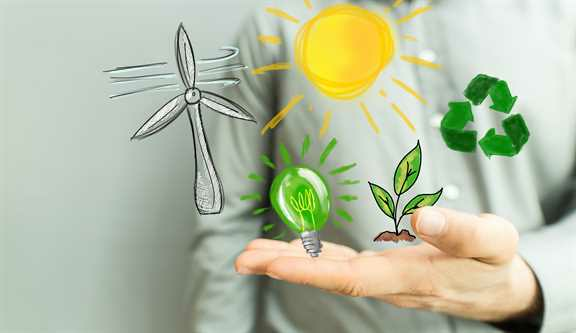 With the price of these types of energy sources being more and more cost-effective, there is no reason why most everyday homeowners can’t go green. Not to mention that many places will issue tax deductions for those who do make the effort to use green energy. One of the main disadvantages of these energy sources is the fact that climate controls it. For solar power, you have to have the sun. For wind power, you need a windy day. And for water power, you need to have some type of current. All of these things depend on the natural power of the climate, which is completely uncontrollable. More people are starting to understand the significance of using renewable energy. Alternatives to nonrenewable examples of power are how we can all start to make a difference in the world. Global warming is a serious issue and needs to be addressed. Clean and natural forms of green energy are how we can start to reverse the damage that burning fossil fuels has done to the earth. With the different types of renewable energy sources, more and more people are finding it easier to go green. Learn more about how these sources of power can help save our earth.